We are also Ireland’s only pallet manufacturing company to hold Sedex SMETA 4 Pillar Conformity ensuring continuous improvements in the ethical performance of our supply chain. 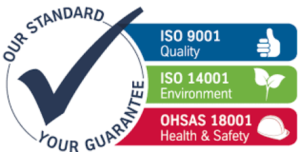 We believe such a suite of prestigious certifications is fundamental to delivering a top quality, compliant and unrivalled product and service. We are very proud of our certifications and are always looking ahead to what is coming down the tracks for the industries and sectors that we supply to ensure that we are ahead of the curve and are able to meet our customers’ needs with ease. Contact us now to discuss our premium quality products and service.